WOW! LOCATION! 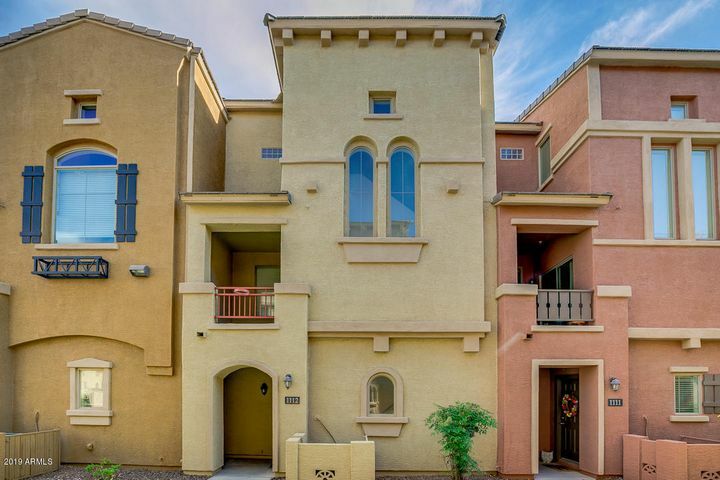 Check out this awesome multi level townhouse located in the wonderful Via De Cielo community and nicely situated near Hwy 202 and 101 in South Chandler. This open floor plan concept is perfect for entertaining guests. NEW Carpet has been installed on the stairs and throughout the 3rd level along with. BRAND NEW HOT WATER HEATER! This spacious kitchen includes all black appliances, a breakfast bar, dark cabinetry, a pantry and a kitchen island with plenty of counter space for meal prep. This home includes not one but TWO Master Bedrooms w/ full bathrooms plus an additional half bathroom located on the second level. The great room is also pre-wired for surround sound! There's also your very own attached 2 car garage...This townhouse is BOTH VA & FHA APPROVED! You'll be minutes away from tons of shopping at the Chandler Mall and easy access to the highways. This is a MUST SEE! © 2019 Arizona Regional Multiple Listing Service, Inc. All rights reserved. The data relating to real estate for sale on this website comes in part from the Arizona Regional Multiple Listing Service. Real estate listings held by brokerage firms other than Phoenix Urban Spaces, LLC are marked with the Arizona Regional Multiple Listing Service logo and detailed information about them includes the name of the listing brokers. All information should be verified by the recipient and none is guaranteed as accurate by ARMLS. All properties are subject to prior sale, change or withdrawal. Neither listing broker(s) nor Phoenix Urban Spaces, LLC shall be responsible for any typographical errors, misinformation, misprints and shall be held totally harmless. Listing courtesy of Keller Williams Realty East Valley. Listing data last updated Friday, April 26th, 2019 12:05:18 AM.